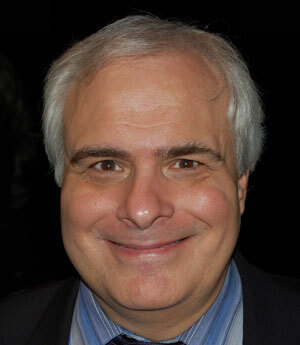 Guest Blogger: Peter Filichia is the author of Broadway Musicals and Broadway Musical MVP’s: 1960-2010. Below is an excerpt from a blog post he did on Stagenotes.net. I had a good time talking to a group of teachers on how musical theater is a worthwhile addition to their curriculum. I told story after story that proved how the arts enriched lives — but how could I forget this one that happened to me in 1991? I was driving back from the Baseball Hall of Fame in Cooperstown when I spotted a poster in Albany advertising a free outdoor production of The Wiz. Well, I thought, it is close to showtime, and the price is right. I arrived just a minute or two before eight p.m., and rushed to the one seat in the first row that wasn’t occupied. To my left was a quite old albino woman, who had a number of elderly people seated to her left. I assumed they were all transported from a senior citizen facility. To my right was a twenty something black man who looked terribly surly, and to his right was a twenty something black woman who looked surlier still. I guessed that she’d brought him here under duress. I imagined their conversation at home: “Come on!” she said, “It doesn’t cost anything! We are going and that’s that!” But she’d already found there was indeed a price to be paid — because he was going to display his anger all night long to pay her back for dragging him out of the house. Keep reading Peter’s story on StagesNotes.net! Yes, Broadway is the oldest established permanent non-floating crap game in New York, and Peter Filichia takes a look at 100 shows that met either the most glorious or the most ignominious fates in Broadway Musicals: The Biggest Hit and the Biggest Flop of the Season, 1959-2009 (Applause Books). In Broadway Musical MVPs: 1960-2010, The Most Valuable Players of the Past 50 Seasons, Peter Filichia names his choices for the MVPs of each of the past 50 Broadway seasons – they might be performers, producers, directors, or choreographers. Not surprisingly, many of the featured MVPs are multitaskers, such as directors who also choreographed, or wrote the book, or even designed the costumes! Also included are awards in categories such as Comeback Player of the Year, Reliever of the Year, Rookie of the Year, and Led League in Errors. From Tammy Grimes, MVP of the 1960-61 season for The Unsinkable Molly Brown, to Joe DiPietro, MVP of the 2009-10 season for Memphis, Filichia recognizes the best and the brightest that have appeared on Broadway. Musicals and baseball have many commonalities: both have runs, hits, and errors; both have cheap seats that aren’t so cheap and overpriced concessions; both have stars with high salaries; and both have awards at the end of the season. But baseball does have what the Tonys, Drama Desk, and Theatre World awards don’t offer: an annual Most Valuable Player award given to the single individual who made the most impact either for his team or on the season. What if musical theatre did choose an MVP? October 11, 2011, Applause Books will release Broadway Musical MVPs: 1960-2010: The Most Valuable Players of the Past 50 Seasons by Peter Filichia. Today, you are on the panel getting to choose winners from the last 50 years of Broadway. Have favorite for MVP, comeback, rookie, manager, or reliever of the year for any of the 1960-2010 seasons? Or if you’ve already read the book, care to agree or offer better suggestions for any of the winners? Leave your thoughts in comments!